That light blue clothes plus a yellow bell was a perfect fit for our dog Lassy. Good thing I was quick enough to capture her pose because she usually moves around. A while after, she was already gasping so I decided to remove her clothes. It was a hot Sunday afternoon and I also knew that animals also feel hot. I also removed her ringing bell because added noise to her already loud barking. 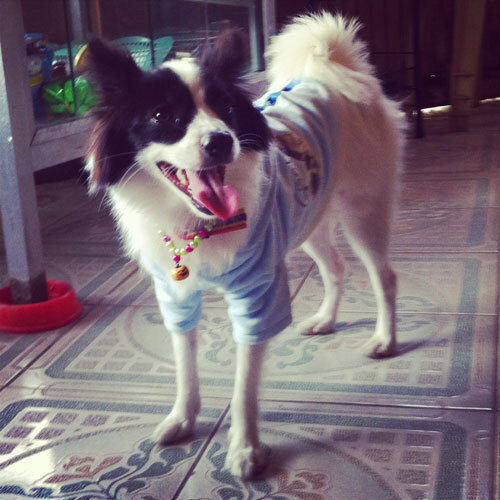 This entry was posted in Random Million and tagged animals, clothes, dog, japanese spitz. Bookmark the permalink.